Early one morning, Mama Duck takes her babies for a walk. They follow safely behind her as they leave their pond, waddle through the park, and stop in the little sunlit town's parking lot for yummy breakfast. But one by one, Mama's little ducklings get separated when they disappear into the slats of the town's storm drain. How three firemen and a pickup truck rush to their rescue makes for a vivid and exciting drama that children will return to over and over again. 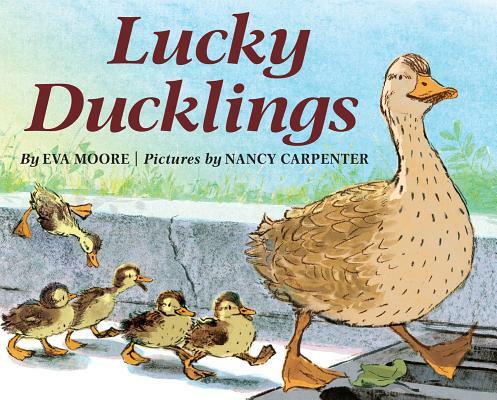 Award-winning artist Nancy Carpenter and veteran author Eva Moore have created a delightful new classic with an inspiring environmental message.